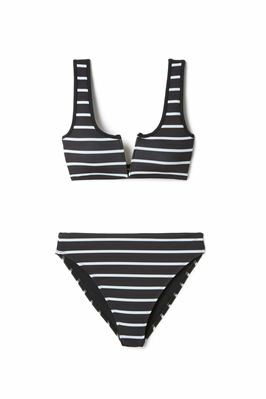 Montauk bandeau top with lurex trim, ties at back. Reverses to dark grey. All pieces are double lined and hand finished.